WINNETKA, Ill. (WLS) -- A teenager charged with robbing a bank in north suburban Winnetka is now suspected in a second bank robbery. Arden Metalitz surrendered to police on Wednesday. Officers say a surveillance photo shows the 19-year-old robbing a Chase Bank last month. This week, police questioned two women who were seen in a car with her shortly after that robbery. 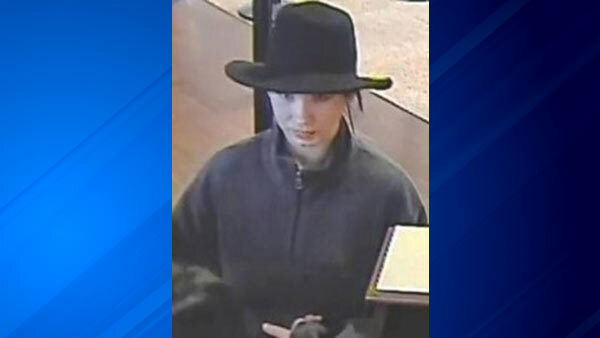 Those two women say Metalitz also robbed a bank in west suburban Elmhurst in October. The women said she asked them to be her getaway drivers.